A contemporary version of the post & rung side chair with turned front legs and flat front and side rails that improve ergonomics and style. 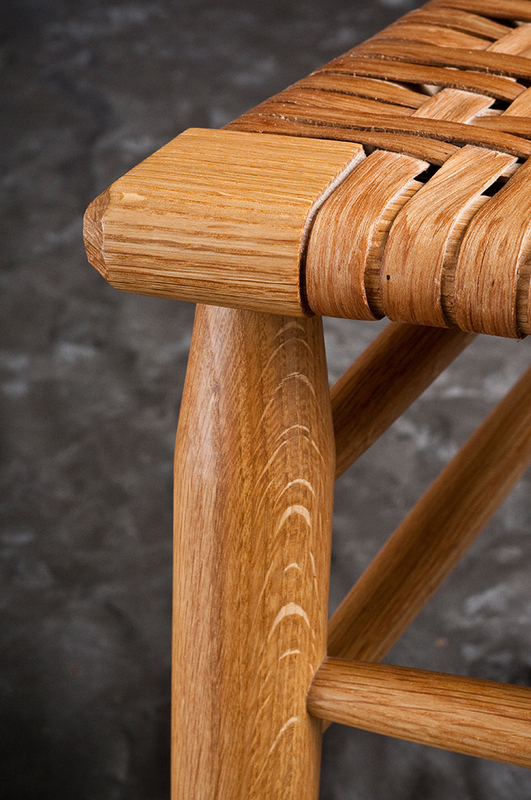 This chair uses the same bending forms and many of the same drilling jigs as the post & rung side chair. 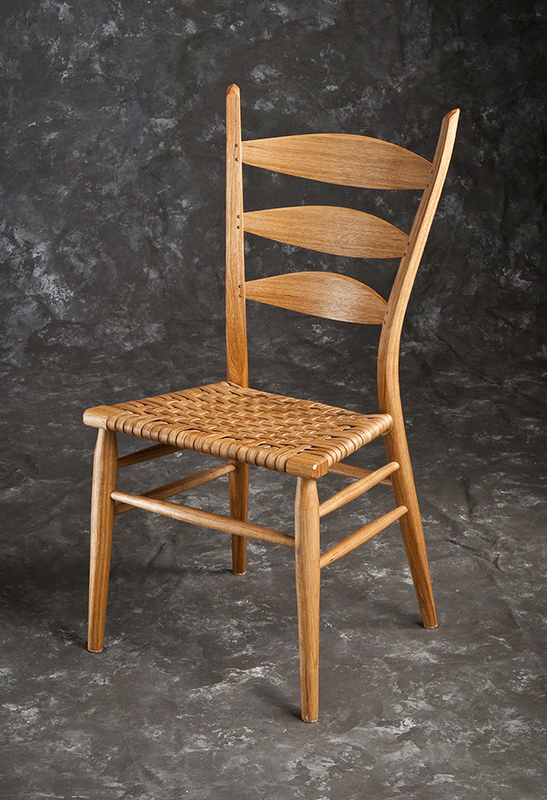 This seven day class will take you, step-by-step, through the process of hand crafting a Brian Boggs designed Classic Side Chair. Because class size is limited to three students, you get very personalized instruction and can work at your own pace. Every process is broken down into small, manageable steps so that you can concentrate on mastering one task at a time before moving onto the next. Whenever a new process is introduced, especially for hand shaping, you are given the opportunity to practice on spare material before working on your actual chair part. In addition to showing you how, I always explain why, so that you will understand underlying concepts and how each step fits into the big picture. In this advanced class you’ll build on the skills you acquired in the introductory class. You’ll learn how to shape the front and side rails and how to cut a very precise mortise and tenon joint. And we’ll introduce some methods of working used in production chair shops. The class includes an 80+ page, fully illustrated manual that documents the process for building your chair from beginning to end. It serves as a step-by-step reminder of the steps taught in class. Because the manual is so complete it minimizes or eliminates the need for you to take notes. This allows you to spend all your class time learning new techniques and working on your chair. Part of the challenge of building a chair in your home shop is making the bending forms and jigs. The Classic Side Chair uses the same bending forms, slat mortising jig, and drilling jigs (the drilling jig set requires minor modifications) as the 3-Slat Post & Rung Side Chair or the Arm Chair. The manual that is included in the class fee also has drawings and dimensions for the every form and jig needed to build this chair at home — you can use these drawings to build the jigs specific to the Classic Side Chair. Although the manual should provide you with all the information you need to make this chair in your own shop I am also available, via e-mail, to answer questions as they come up. Class fee: $1,600. Includes 7 days of instruction, chair and seat materials, and fully illustrated manual. Materials: Ash, cherry, or walnut. Hickory bark seat. Prerequisite: Post & Rung Side Chair Class or Arm Chair Class taken with me or David Douyard. Or any class taught by Brian Boggs in the past.